Central Europe’s most important river, the Danube has inspired operas, serenades and waltzes, including the most famous of all, Johann Strauss’s Blue Danube. Not that the river is especially blue – more of a murky grey with a mere hint of blue on a sunny day. Nevertheless, the Danube flows through an incredible range of scenery, rising in Germany’s beautiful Black Forest and cutting through the wooded hills of Bavaria before crossing the vineyard-clad ranges of Lower Austria to the capital, Vienna. The river then flows across the Hungarian Steppes and into the Balkans, through the southern tip of the Carpathian Mountains to its vast delta, rich with wildlife, on the Black Sea. So while a Danube cruise includes one big cultural highlight after another, one of the greatest pleasures is simply sitting on deck, watching the changing scenery. Danube cruises start at various points; some in Passau, some in Vienna and others in Budapest, sailing upstream to Vienna. 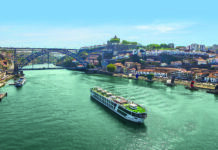 Longer voyages take in the Rhine as well, sailing the Rhine-Main-Danube Canal that links all Europe’s main waterways, while the ultimate Danube voyage takes in the whole of the navigable river, from Passau, all the way to the delta. The most cruised area, and the section of the river with the most cultural highlights, is the stretch of the Danube from Passau, north-west of Vienna, to Budapest, which can be achieved in a week, including overnights in both capitals. Between Passau and Linz, the Danube flows through the heart of Upper Austria, a quiet region of wooded hills, small villages and magnificent baroque abbeys, into the province of Lower Austria, which extends eastwards to Vienna through a subtle landscape of rolling hills and vineyards. The most beautiful stretch of the river lies between Krems and Melk, a region known as the Wachau valley, famed for its wooded scenery, fine wines and apricot brandy. The Wachau is peppered with castles and monasteries, the most famous being the Benedictine Abbey at Melk. The pretty village of Durnstein, at the heart of the wine-growing area, is overlooked by the dramatic ruin of Durnstein Castle, where Richard the Lionheart was imprisoned in the 12th century. Autumn is a wonderful time to cruise this stretch of the river, when the trees turn extravagant shades of scarlet, saffron and umber. Linz is an industrial town on the river with an attractive renaissance and baroque centre where assorted street cafes sell the famous almond and redcurrant Linzer Torte. Most cruise lines offer day trips from here to Salzburg, setting of The Sound of Music, and the city of Mozart’s birth. Vienna, the Austrian capital, exudes romance, with its beautiful parks and palaces, elegant shops and the legendary coffee houses. Most cruises spend at least one night here, giving plenty of opportunity to see the sights, attend a performance at the opera (in June and September), or listen to the Vienna Boys’ Choir, or admire the white Lipizzaner horses at the Spanish Riding School. Beyond Vienna, the river flows slowly through vast meadows lined with birch and alder trees towards the Slovak capital of Bratislava, dominated by a reconstruction of a boxy, 9th century castle, usually a half-day stop before continuing to Esztergom in Hungary, which has a castle of its own, the seat of government for Hungary’s kings and queens for more than 300 years. The surrounding hills, densely forested, once served as royal hunting grounds and affluent tourists still come to shoot deer, wild boar and mouflon. From here, the river kinks around the famous Danube Bend or Danube ‘Knee’, winding its way past small, wooded islands, where city-dwellers from Budapest come at weekends for the fishing and the sandy beaches. Budapest is another big highlight and all ships overnight here, providing a chance to see the city beautifully floodlit at night, when the eight bridges that link the once-separate cities of old Buda and more modern Pest are strung with twinkling fairy lights, while coloured lasers and dramatic floodlights play on the old castle walls. There is plenty to see in Budapest, including Heroes’ Square, with a distinct Communist-era feel; it’s easy to imagine huge military gatherings in this vast parade ground. Take a traditional spa bath, visit the museums in the old castle, admire the intricately coloured tiles of St Matthias Church and stroll around the narrow streets of the Fishermen’s Bastion, where restaurants serve rich, meaty Hungarian goulasch, flavoured with paprika grown in the fields east of the city. Beyond Budapest, the scenery changes again and the riverside villages get noticeably poorer as the river flows into Serbia. Novi Sad, a bustling university town, lies on fertile plains and is surrounded by farms and vineyards, with mountains in the distance. All tours here include the huge Petrovaradin Fortress, one of the largest fortifications in Europe, often dubbed ‘Gibraltar on the Danube’. Today, the fortress is an arts and cultural centre, with an art academy, various museums, cafes and artists’ studios open to the public. Belgrade, capital of Serbia (and of the former Yugoslavia), is strategically located on the southern edge of the great Carpathian Basin, at the confluence of the River Danube and River Save. Ships’ tours include the Belgrade Fortress, once the city’s military stronghold but today surrounded by the elegant, 19th century parkland of the Kalemegdan citadel, housing Orthodox churches, Turkish baths, Muslim tombs and the military museum. One of the most important natural wonders of the eastern reaches of the Danube is the Iron Gates Gorge, which takes a day to cross. The gorge forms a natural boundary between Serbia and Romania and is about 90 miles long, flanked by towering cliffs. Where the banks are inhabited at either end of the gorge, it’s like stepping back in time, with rural roads used only by horse-drawn carts, and mountain trails connecting the tiny hamlets. A lot of cruises end at Rousse in Bulgaria, often with a side trip to Bucharest, the Romanian capital, to witness the world’s largest palace, part of the legacy of the dictator Ceausescu. But if you choose to travel on to Constanza, a Romanian holiday resort on the Black Sea, don’t miss a side trip on the Danube Delta, rich with birdlife, fish and mammals, to see a different face of the Danube altogether. Do you like what you hear? 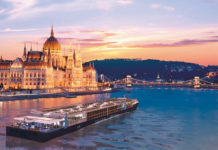 Find out which cruise lines travel to The Danube!